Being a Victoria’s Secret model looks like an easy job. Instagram shots by the pool and exotic locations make us all jealous. Before you start hating and complaining. You should know that all of these gorgeous models are honed products of extreme dedication, hard work, and a smidge of great genetics. We’ve compiled a list of the favorite workouts of Victoria’s Secret Angels that you can try. Model Fit’s motto consciously addresses the common criticism of models being too thin. Their motto “It’s not model thin, it’s modelFit” sets the tone for the their methods of sculpting the bodies of Angels like Karlie Kloss, Lily Aldridge and Martha Hunt. Justin Gelband, founder of ModelFIT, focuses on bodyweight movements, resistance bands, and medicine balls. ModelFit is one of our favorites because their workouts aren’t limited to their gym and can be done just as well at home. 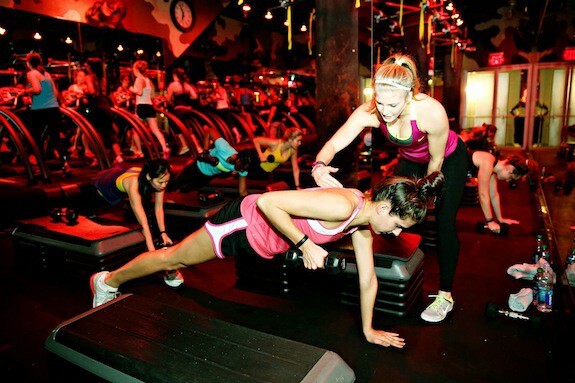 Why do we love Barry’s Bootcamp so much? Throw the myth of “weights make you huge and odd shaped” out the window. Victoria’s Secret models are toned and lean. Barry’s Bootcamp will give you that. Combine weights with cardio and you get a recipe for a stunning body! Gotham Gym is a favorite among models like Gigi Hadid. It’s not hard to see why. They make you feel like a total badass. Founder, Rob Piela, tones his students with workouts you would likely see Mike Tyson or Floyd Mayweather doing. Jabs, right hooks, and glove work are a perfect way to tone your body with a complete workout that works every muscle. SLT dubbed their method, “if cardio, strength training, and pilates had a baby”. SLT is a very efficient and innovative technique to working out. Catch Romee Strijd or Jourdan Dunn here toning up for their next show. Aerospace has long been keeping Victoria’s Secret models fit before classes became popular. 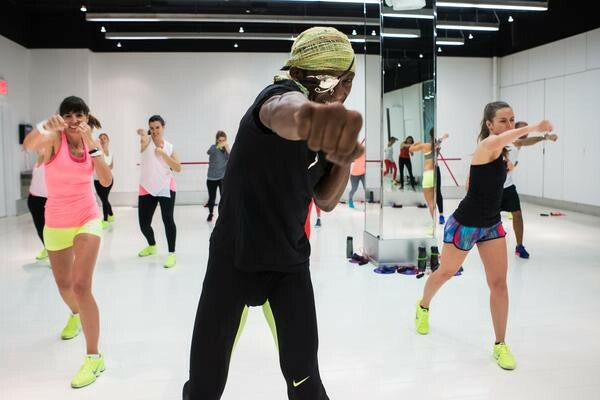 Michael Olajide, Jr started out small and grew his reputation as the models trainer by training Adrianna Lima and Doutzen Kroes among others. He keeps his clients runway ready by using no machines and basis the workout on body weight exercise, mainly boxing. Micheal Olajide is an interesting character and it’s worth checking out even if you’re just popping in to say hello. If you’re interested in taking any of these classes, we have good news! Starting January 2016, you can book any of these classes and more through our app. Just drop your email at this link — → fitbenefitapp.com and we will notify you. Don’t worry we don’t share any private info like email or name.